If your mother treated your childhood cough, cold or flu with a bit of honey drizzled into a cup of tea, she followed a rich tradition of honey-based folk remedies. Modern science is just beginning to delve into honey’s protective properties, but emerging evidence indicates honey is an effective choice for treating flu-based coughs. According to Stephanie Rosenbaum and Caroline Kopp in “Honey: From Flower to Table,” people have been eating honey for as long as 3 million years. Cave paintings in Spain dated to around 7,000 B.C. show a figure gathering honey; the first beekeepers on record show up in ancient Egyptian records around 2,400 B.C. Until the age of exploration in the 16th and 17th centuries, sugar was a European rarity—honey was the main form of sweetener and a potent ingredient in many folk remedies. Honey contains dietary antioxidants, carbohydrates, sugars, acids, proteins and minerals, according to the National Honey Board, or NHB. Honey may also fight bacterial infections thanks to its antimicrobial properties. 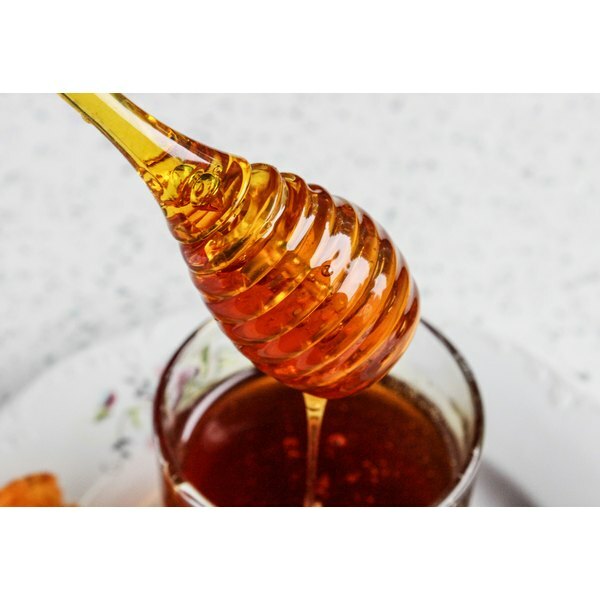 The NHB reports that honey contains “no vegetative forms of disease-causing bacterial spores,” a likely outcome of honey’s natural ability to keep bacteria from growing. Although all honey can fight bacteria, you'll get more antioxidants from buckwheat honey than the more common clover honey. Although most colds and flus are caused by viruses, honey may help banish those pesky few respiratory infections caused by harmful bacteria. A 2007 study by the Penn State College of Medicine pitted buckwheat honey against dextromethorphan, or DM, an ingredient in children’s cold and cough medications intended to soothe coughs. The double-blind study found that honey outperformed DM in terms of soothing a child’s cough overnight, leading to better sleep for both children and parents. Just as surprising, the study also found that children who received no treatment and children treated with DM showed little difference in the severity of their symptoms. A 2009 study published in “Evidence-based Complementary and Alternative Medicine” tested the effect of Nigerian jungle honey on the immune function and anti-tumor activity in mice. The Japanese and Californian researchers found that jungle honey boosted the immune function of injected mice, as well as decreased the size and weight of their tumors. Although it remains to be seen whether other types of honey offer similar benefits, the results are encouraging for believers in honey’s natural protective qualities. What Are the Benefits of Organic Honey?